Objective: To ensure that students who understand the concept of prime and composite numbers do not mix up the terms. Whenever I taught prime and composite numbers I noticed that some students who understood the concept mixed up the terms. This misunderstanding caused them to miss all the problems when tested. I came up with the mnemonic device that numbers are like people. Prime numbers are Picky People who only have one friend while composite numbers are folks who enjoy Company. Reinforcement: I had the students do a skit in order to increase retention of the concept. Evaluation: I made up a worksheet so each student could draw prime and composite numbers with their factor friends. It was a fun lesson that made a nice bulletin board. 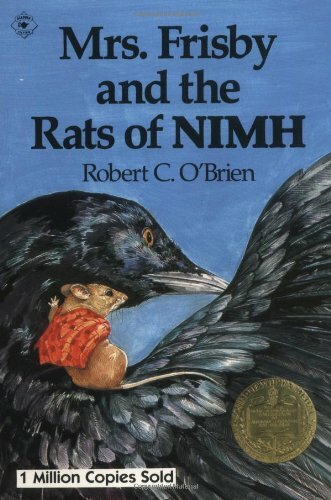 In case you didn’t know, the characters in the story are personified mice and rats. It is a riveting story with several dramatic plot twists. One morning as we were reading the novel aloud, a mouse—a REAL one—ran across the classroom in full view of the students. This was a very unusual occurrence in our suburban setting. The students were surprised and curious. “Is that Mrs. NIMH?” they asked. I smiled and calmly took the class outside to continue reading this wonderful book. I couldn’t have planned it any better.